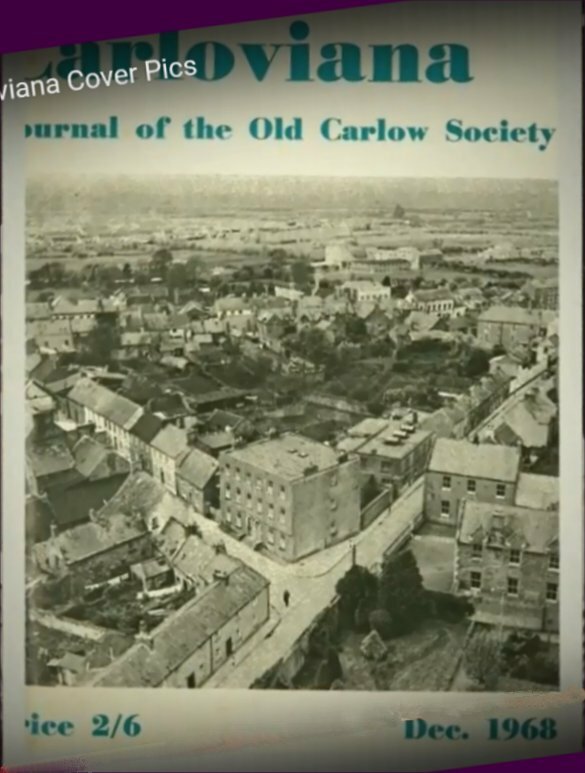 The Carlow Historical & Archaeological Society (until 2001 known as the Old Carlow Society) was formed in 1946 when a group of local enthusiasts came together to establish a forum through which the study of local history might be encouraged. The main promoters were the society’s first chairman, Fr. William Miller, then administrator of the Carlow Cathedral parish and long time member of the Kildare Archaeological Society, it’s first secretary, Liam D. Bergin, then editor of the Nationalist and Leinster Times, and the first editor of Carloviana, Rev. P. J. Brophy of St. Patrick’s College Carlow. The Society has been in continuous existence since its foundation and it currently has approximately two hundred members. In pursuit of its aims the Society engages in a variety of activities. It organises monthly lectures from October to March. Its publications include the annual journal “Carloviana” which has appeared each year since 1947. It also organises outings to places of historical and/or archaeological interest. The new society set out as it’s objectives the promotion of public interest in the history and antiquities of the town and county of Carlow. The society has pursued these objectives by presenting a series of lectures over the winter months, publishing an annual journal Carloviana and by outings to places of interest.